When Scott Thorson (Matt Damon) is introduced to Liberace (Michael Douglas) he instantly feels a connection and fascination although there is a significant age difference between them. They eventually start a secret affair, since Liberace – even though very flamboyant – is living a life in the closet. At first Scott feels overwhelmed, yet attracted by all the attention and expensive gifts he receives, but is soon confronted with the downside of this relationship. I don’t remember either Michael Douglas or Matt Damon playing a gay person before, which is why I was even more excited to see how their performance would turn out. 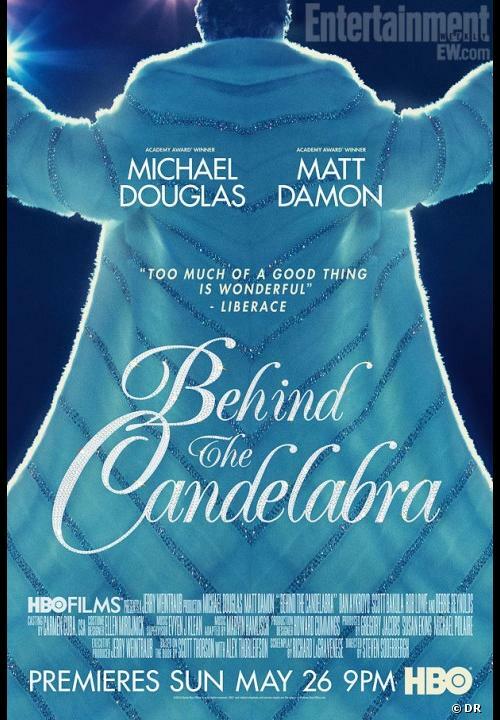 I expected a very slow and settle biopic, especially since I didn’t know much about Liberace. But as the movie started I was proven wrong. It is sparkling, sexual, outrageous and dramatic. Michael Douglas as the needy yet controlling Liberace, and Matt Damon Liberace’s confused young lover, who everyone sees as the house boy, have maybe given their best acting performance of their life. The chemistry between the two men is so believable, and the passion, the anger, the love, the betrayal, everything is so dramatic and fascinating. I was totally trapped and even though it felt a little long sometimes, I couldn’t turn away. From cinematography to acting and soundtrack, this movie is a winner. Too bad TV-Movie can’t be up for an Oscar, because I am sure Michael Douglas and Matt Damon would have at least be nominated. Director Steve Sonderberg – known for Ocean’s Eleven (2001), Magic Mike (2012), and SideEffects (2013) has proven yet again how flexible he is in his work. Good review Simon. Very surprised by how convincing both Damon and Douglas were in their roles, and I’m not just talking about the sexual acts they perform. I just mean in general, they’re great. Thank you! 😀 I totally agree.